Observation - Frog - UK and Ireland. Description: I know that all Common Frogs have a dark eye patch but was rather confused when I saw this one without the patch. Is it just an unusual Common Frog or if it's a different species, please could someone tell me what it is? I know that all Common Frogs have a dark eye patch but was rather confused when I saw this one without the patch. 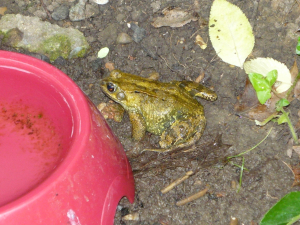 Is it just an unusual Common Frog or if it's a different species, please could someone tell me what it is?